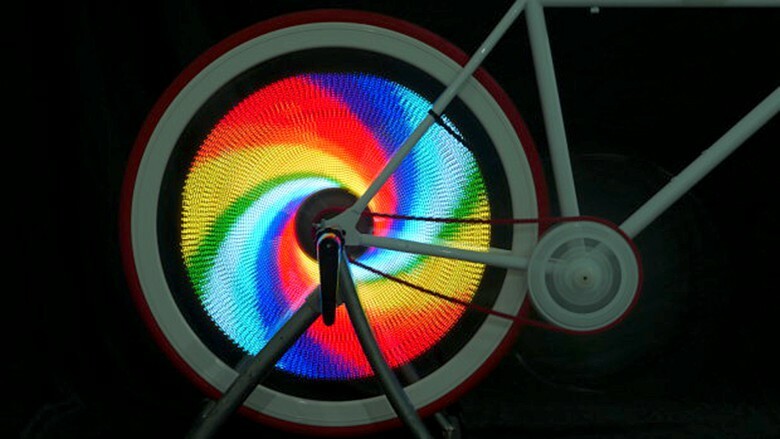 The Balight brings animation to the bike wheel with 376 LED lights. Cyclists go to great lengths to let motorists know of their presence in traffic, especially at night. No one wants to hit or get hit. Cycling enthusiast Leo Liu got an idea that goes beyond reflectors and light clothing. 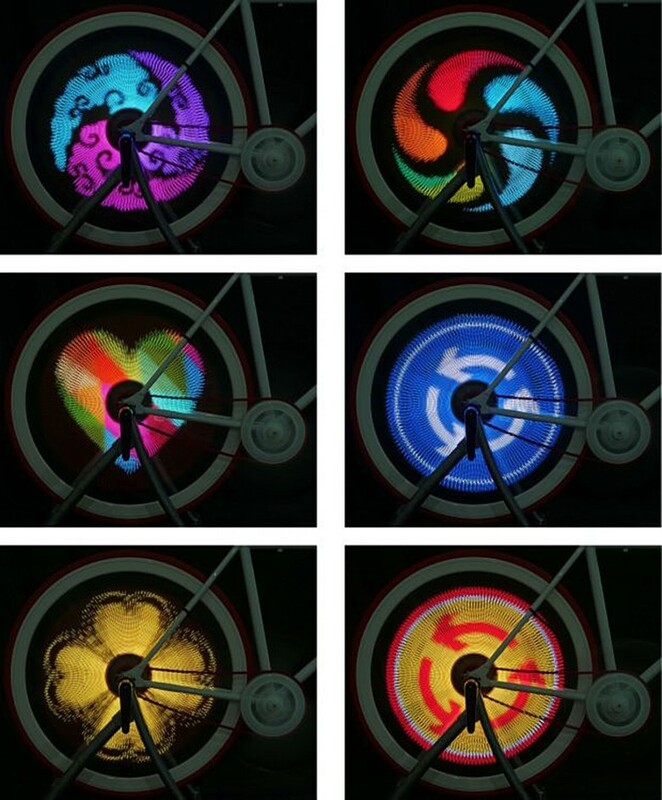 He has created an LED bike wheel display that turns a spinning wheel into to a flashing animated picture capable of millions of colors. With more than 16 million possible colors, the Balight can display a wide variety of images. The Balight is something to be seen. In fact, it just might stop traffic. In the shape of an X, the Balight contains 376 bright, full-color LED lights and attaches to the spokes of a wheel. It is controlled by an app on your smartphone, where you can select from a playlist of images or create your own with easy-to-use tools or from pictures in your camera roll. Once a cyclist with a Balight gets pedaling, the image sort of looks like a gif file you see on the internet. Liu is trying to raise $30,000 on Indiegogo to bring the Balight to production. Early backers can get a Balight for one wheel for $99. Liu’s background is in drones and robotics, but the idea for the Balight came to him one day as stared at a fan displaying images and patterns. The avid biker wondered if such a display could be made for cycling. Shock-proof and water-proof, the Balight can last four to 10 hours on a charge. In addition to being fun and promoting safety, Balight also tracks ride data. It also has a couple of theft deterrents, with an alarm and GPS tracking, should it get stolen. There is also event planning and social engagement features in the app.